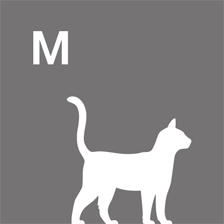 Pack of 5 disposable inserts for the MiaCara Sito cat litter box. Keep your Sito designer cat litter box fresh and clean with a pack of 5 refillable inserts. The Sito litter box refills make the annoying task of cleaning of the cat litter box a thing of the past. Water-repellent, environmentally friendly and disposable, they are safe and easy to use. Once it has been filled with cat litter, the Sito cat litter box insert can be used for one to two weeks. Prolong the life of your inserts by regularly removing clumps. You can easily dispose of the insert in the bin (without litter) or in the organic waste bin (only for biodegradable litter). 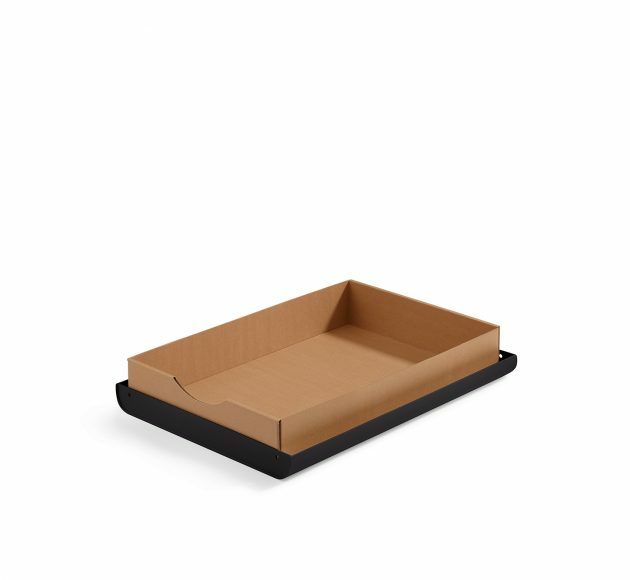 Environmentally friendly: Made from high quality, water-repellent, 100% recycled cardboard. Practical: Simply dispose of the used inserts, no washing necessary. Hygienic: Made from breathable material, allowing the litter to dry more quickly to minimise odour. 3. Use for approx. 1-2 weeks (occasionally remove clumps with a shovel) and then dispose of in organic waste* or residual waste without litter. * Note on disposal in organic waste: Our product is 100% biodegradable. In Germany, there are regional differences in bio-waste disposal. Please contact your local authority regarding appropriate disposal of waste. MiaCara products combine a clear design language with exceptional functionality. MiaCara focuses on first class materials and high-quality craftsmanship. MiaCara products are mainly manufactured in Germany and Europe with great attention to detail and sustainability. This item is currently in stock and available in 2 to 3 days. 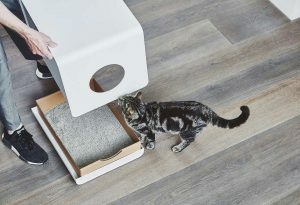 The water-repellent, environmentally friendly disposable insert for the Sito cat litter box is fold up in just a few simple steps and ready for use. After filling with cat litter the toilet can be used for one to two weeks. Regularly remove clumps and dispose of the insert at the end of its useful life conveniently in the waste bin (without litter) or in the organic waste bin (only for biodigredable litter). 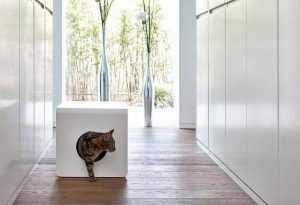 The annoying cleaning of the cat litter box does is a thing of the past which makes cleanliness and hygiene very easy. Hygienic: breathable material, which allows the litter to dry more quickly, thus minimizing odor. 3. Use it for approx. 1-2 weeks (occasionally remove clumps with a shovel) and then dispose in organic waste* or residual waste respectively in waste paper without litter. * Note on disposal in organic waste: Our product is 100% biodegradable. In Germany, there are regional differences in biowaste utilisation. Please get informed about the admissibility of disposal in the organic waste bin by your responsible utiliser. 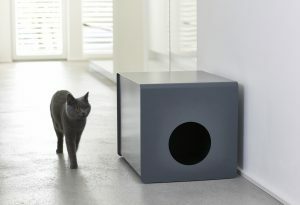 The disposable insert for the Sito cat litter box is available in one size.